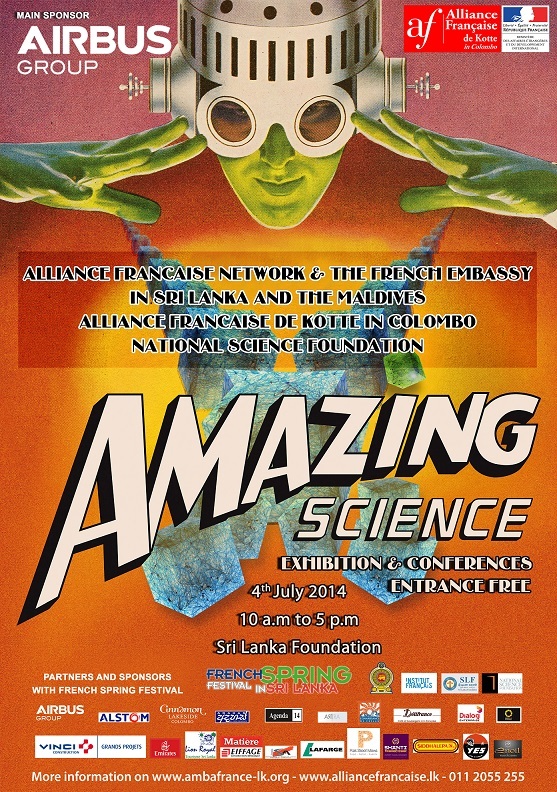 AMAZING SCIENCE comes to Colombo, Sri Lanka, on 4 July 2014 as part of the French Spring Festival organised by Alliance Française de Kotte in COLOMBO and its partners. 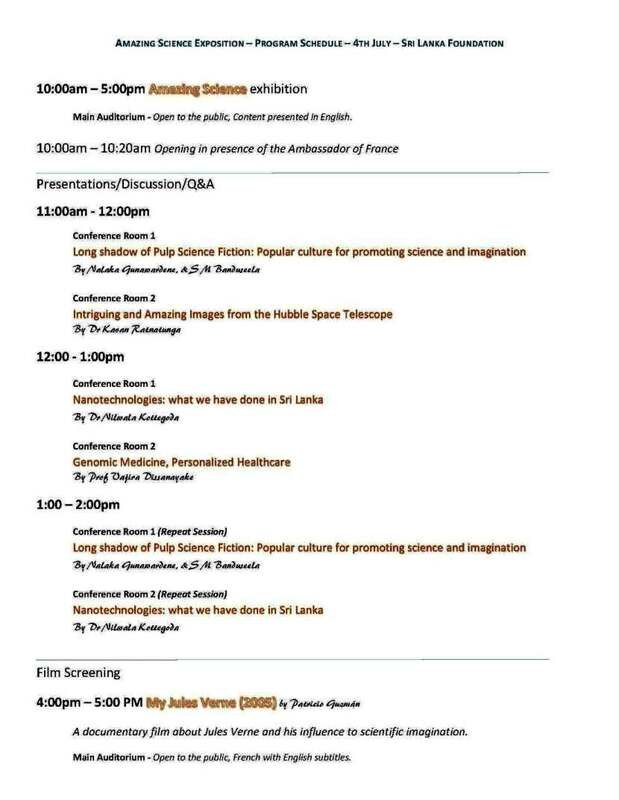 Here’s the day’s program, to be held at Sri Lanka Foundation Institute, Independence Avenue, Colombo. I’ll be speaking on “Long shadow of Pulp Science Fiction: Popular culture for promoting science and imagination” at 11 AM, and repeating it again at 1 PM. 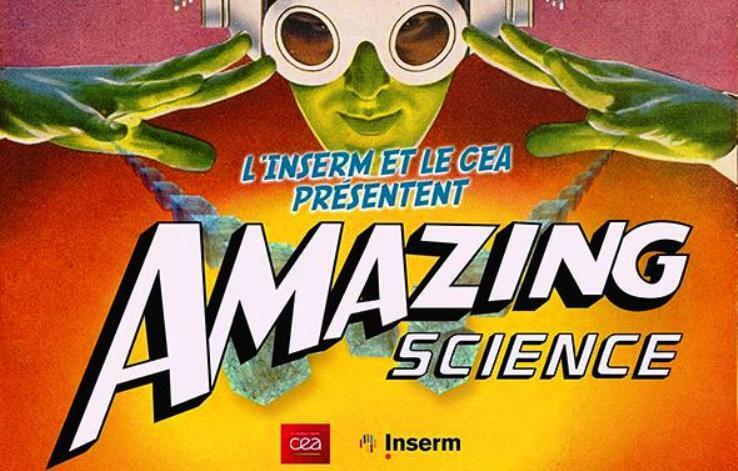 Amazing Science is a travelling exhibit put together by French scientific institutes inspired by American ‘pulp’ science fiction magazines during the first half of the 20th century. As the creators say, it “takes you on an exploratory journey into uncharted territory, on the frontiers of pulp culture, science fiction and scientific research”. The exhibition revives the old “pulp” look through a blend of scientific research, creative writing and popular culture. From the infinitely small to the infinitely large, the most advanced areas of science are now the realm of unexpected encounters with the real and the imaginary worlds. Each of the exhibition panels features scientific visuals based on a specific research area. ‘Pulp magazines’ is a generic term for inexpensive magazines published in the United States from 1896 to the 1950s. They provided popular entertainment, especially before broadcast television became well established, and carried illustrated short stories and serialized stories in categories like adventure, travel, detective and science fiction. 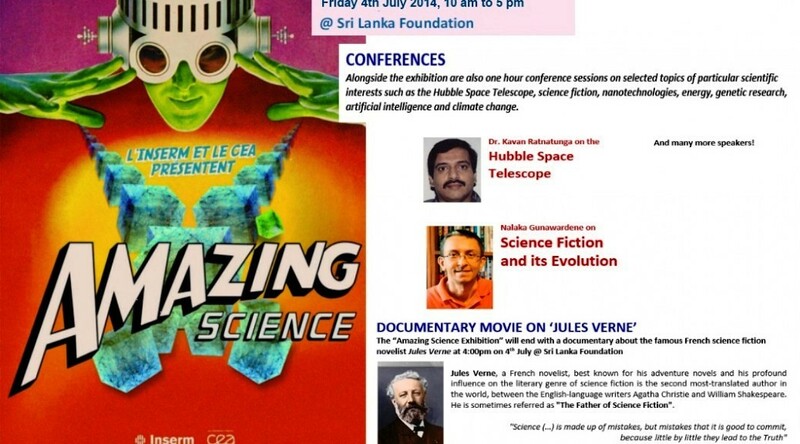 This illustrated presentation will look at the role pulp magazines played in promoting science fiction writing and reading as part of 20th century popular culture. Many who later became mainstream writers, such as Robert A Heinlein, Arthur C Clarke, Isaac Asimov and Ray Bradbury first established themselves by writing to such publications. In this talk, we look at how pulp science fiction inspired scientific discovery and innovation in areas as diverse as space exploration, computer science, robotics, evolution and materials science. « සිවුමංසල කොලූගැටයා #174: සමාජ මාධ්‍ය ඇවිලෙන ගින්නට පිදුරු දැමීමක් ද?